Never buy premade dip again! 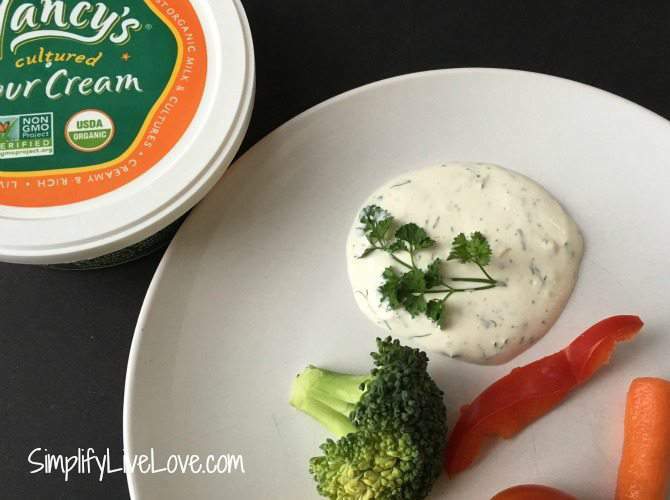 Try this healthy veggie dip that features sour cream and fresh dill and you will be hooked. 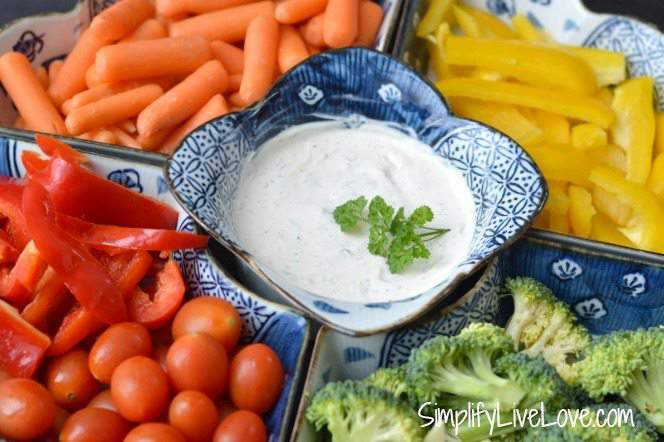 This dip is a great way to encourage kids to eat more veggies and is perfect for parties or meals too. 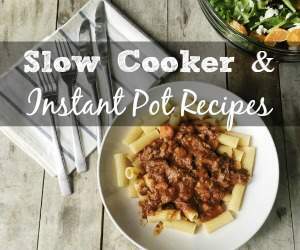 With a five minute prep, it’s as easy as it is delicious! Tis the season for appetizer ideas, and I love anything that encourages my kids to eat more veggies. I also need food that’s quick and can be make ahead of time. This homemade dip meets all of my requirements. It comes together quickly, it’s relatively healthy, my kids love it, and it is great for encouraging more veggie consumption. While this dip comes together in less than five minutes, the key to its deliciousness is to let the flavors have time to meld in the fridge. It really needs to chill for at least 2-3 hours. If you absolutely can’t wait, be sure to give it at least 30 minutes in the fridge so the flavors have a little bit of time to come together. I also highly recommend using fresh dill in this recipe. 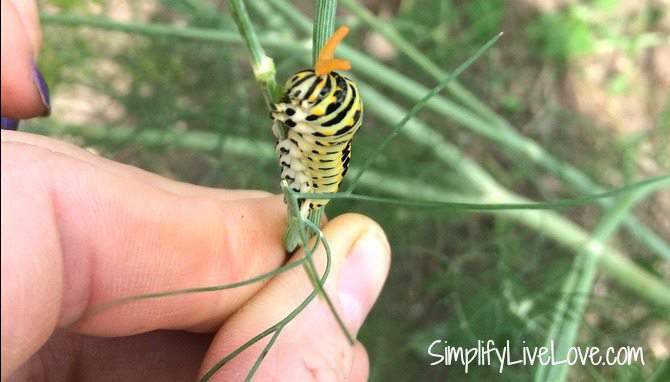 It’s a really easy herb to grow, and is food for a lot of butterflies, like that little swallowtail that fed on my dill last summer! It’s a volunteer plant in my garden every year, and I need it, not only for this dip, but also for the homemade dill pickles I can. Why not grab a dill plant next time you’re in the grocery store for use this winter and then plant some outside in the spring!? 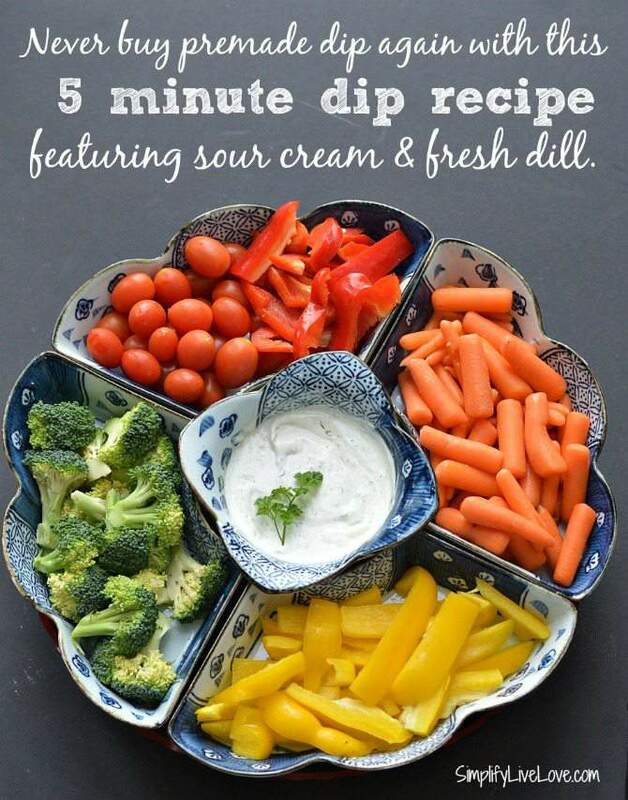 A quick and easy homemade dip recipe with a 5 minute prep! You will never want to buy premade veggie dip again!! To make this delicious dip, simply mix all ingredients and put the dip in the fridge. The key to getting a great dip is to let the flavors meld by chilling. You'll get the best result by chilling for 2-3 hours, but if you're in a real hurry, 30 minutes might do the trick. 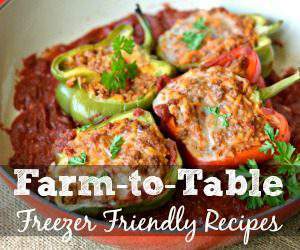 Serve with fresh veggies, pretzels, or pita chips. Many thanks to Nancy’s for sponsoring this post. I’m proud to partner with this family owned and operated company. 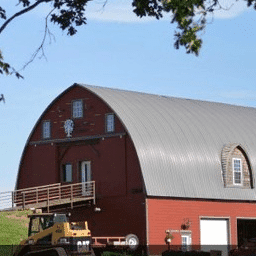 All of their organic dairy products have been verified by the Non-GMO Project and their milk is sourced mostly from small family farms with fewer than 150 cows, from dairies within a 50 mile radius of their Eugene, Oregon Creamery. I also love all the green initiatives Nancy’s has undertaken – like encouraging people to reuse the containers (they make excellent seed starting containers), and by installing a 63.5 KW Solar Electric System at their plant. We also have a solar array at our house and LOVE it!! I’m thrilled to work with companies that practice what they preach and know that you’ll be thrilled to learn about them too. 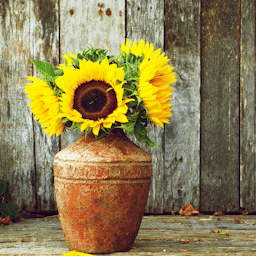 Please say HI to Nancy’s on facebook, twitter, instagram, and pinterest! 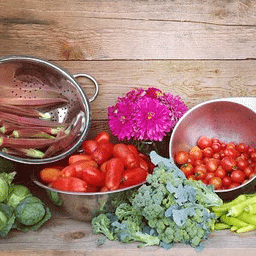 Do you make your own veggie dip? Make sure you try this one. I think you’ll love it.